The belief that one in two marriages end in divorce has been debunked regularly, but still today touted from pulpits and academic broadsides as truth. It is not true and NEVER has been true or statistically factual. Next we heard the one in four marriages end in divorce and that stat also being true in the local church. Is that your experience? I haven’t seen 25% of true believers divorcing. It’s just plain scary to think about marriage in these terms. Would you get on a plane if one in four crashed? What is the truth about divorce statistics? 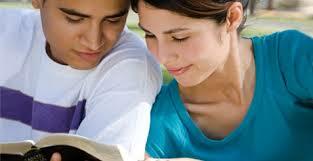 Be committed to accountability and oversight for your marriage to a spiritual leader. Answer to someone(s) outside yourselves. Be committed to a local church where you not only receive truth, but where you serve together in ministry. Create a marriage mission statement that declares why you are married and what you are called to within marriage. Find your co-mission. Never, never, never mention the “D” word = divorce. Decide that divorce is not an option and neither of you will ever consider it. Receive marriage counsel as needed. When you run into a roadblock maturely enlist the help of others and admit your faults freely. 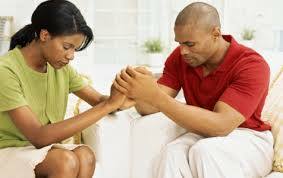 Pray together creating the most intimate communication you can create. Create a budget and be committed to follow it so that finances do not come between you. Find the strengths of each of your financial personalities and utilize them to generate unity. Know that marriage struggles will serve to strengthen you as you maturely deal with them, rather than avoid or run from them. The deeper the struggle the deeper the growth of your marriage as it is worked through. Praise in public and construct in private. Never put your spouse down before others. Speak life to one another and use language that builds one another up rather than criticizing one another. Seek God first and become intimate with Him so that He can continually change you. The marriage is not the issue, rather the two people in it are. Change and grow yourself and your marriage will also change. Finally, my personal bonus: Incorporate the nine most important words in marriage regularly: I am sorry; I was wrong; please forgive me. Date an individual (pair off) when you are honestly looking for a life mate. Otherwise, do your best to simply stay close friends and remain in groups. Date as you also pursue maturity. It is two mature persons who have the best chance of serving one another in marriage versus taking and demanding from one another. Date in authenticity and honesty. Surface dating will get you nowhere but on to the next person. 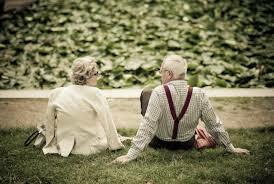 Communicate with one another openly and deeply. Date in purity. Set your sexual boundaries before dating and share them with your parents or pastoral overseer so they can ask you specifically about maintaining your boundaries. Speaking of purity. Here is a guideline to consider: Treat younger men as brothers, older women as mothers, and younger women as sisters, with absolute purity. (I Timothy 5:2) How long would you get into a lip lock with your biological sister or brother? If you just reacted by making a face of disgust…thank you. 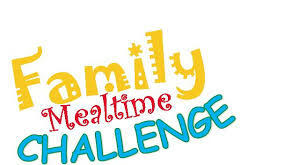 Have you ever wondered about what can be the best times to communicate as a family? 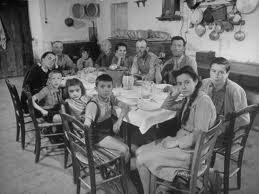 Never wonder again, as you rediscover your children by insisting on a family meal together. It is the perfect time to share about your day, to laugh together at a humorous story, to communicate a need or a prayer request. Family mealtime gives you the perfect opportunity to teach your children how to give thanks to God and how to be thankful for daily provision. 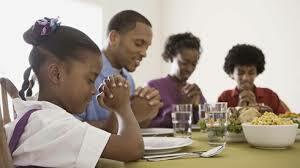 Family mealtime is a time for the parents to be vulnerable and share about the good and not so good parts of their day. As parents do this, it will encourage the children to speak up and share their difficulties also. Some families end with a short devotional time and others discuss their plans for the evening or the next day schedules. Simply start by prioritizing mealtime together. Turn off the computer, the radio, the hand-held games and the TV. Then initiate discussion by sharing something from your day followed by asking others to share. If no one opens up, perhaps pose a question like, “What was the best part of your day today?” or “What was your least favorite activity today?” Remember, as parents open up about their day it will provide an example for the children and teens. Dads and moms do not have perfect days and talking about that sets the stage for more openness among the family. We still look forward to and enjoy those family meal times around our table with our adult children and their spouses. It’s amazing what we hear from those childhood years – things that we enjoy hearing and being reminded of and things that we wish we just didn’t know. We make decisions on a daily basis according to our personal life values. Our values are the key to our priorities and will greatly affect our lives and our marriage. 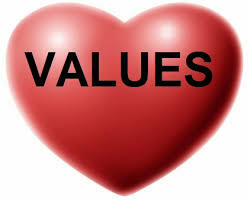 Identifying those values can help you and your spouse bring your most important beliefs to the table for discussion. Many of our differences are actually rooted in our life values. For example, one of us might highly value being out of debt while the other sees certain types of debt as acceptable. What’s the difference? The difference is often found in our financial values. Here’s a key: When we discover such differences it is actually an opportunity to find “us,” our value, rather than just his or her value. Finding us is crucial to growth and maturity as a couple. Finding our deeply rooted beliefs and how we will walk them out is a portion of the glue that holds us together. My wife and I struggled with the values of saving money versus spending money early on in our marriage. While that looks like polar opposites at first, it actually forced us to find our value. As we looked closer at the differences, what we discovered was that I was saving for a future need and she was giving to others for a present need. Combining those two values and keeping them in balance has been life changing to our relationship and to our finances.